Why do I need to pre-medicate with antibiotics for a simple cleaning? For some, a “simple” cleaning may not be so simple. Cleanings cause varying degrees of bacteremia (the introduction of bacteria into the bloodstream). This could place specific individuals at risk for serious illness which may however be averted by “pre-medicating” with antibiotics. This topic has been considered controversial by many in the medical and dental professions. Antibiotic pre-medication or “prophylaxis” is defined as taking antibiotics prior to treatment in order to prevent disease. 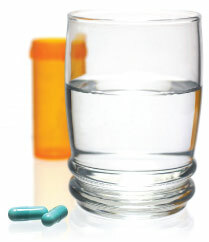 There is consensus among doctors that there are relatively few medical situations where antibiotic pre-medication is indicated; primarily for the prevention of endocarditis (inflammation of the inner membranes and valves of the heart); prosthetic (artificial) joint infections and those with compromised immune systems (reduced ability to resist infection). The subject of antibiotic pre-medication has incurred a great deal of confusion and controversy in the past because there had been little supportive scientific evidence. The subject of antibiotic pre-medication has incurred a great deal of confusion and controversy in the past because there had been little supportive scientific evidence. The theory of “focal infection” that bacteria from the mouth can result in systemic illness or cause disease in distant parts of the body following oral surgery was first theorized in the early 20th century. In the 1930s and 1940s, a strong correlation was shown between dental procedures that cause bleeding and bacteremia (bacteria in the bloodstream) and infective endocarditis. This led to the use of antibiotics for patients identified as having a risk for endocarditis and which was later expanded to include patients with prosthetic joints and those with compromised immune systems. For many years, the American Heart Association (AHA) recommended that patients with certain heart conditions take antibiotics shortly before dental treatment. This was done with the belief that antibiotics would prevent infective endocarditis, previously referred to as bacterial endocarditis. The guidelines regarding premedication have recently changed representing a major change in philosophy. The AHA's latest guidelines were published in its scientific journal, Circulation, in April 2007: the AHA and the ADA (American Dental Association) recommend that most of these patients no longer need short-term antibiotics as a preventive measure before their dental treatment. The new guidelines state that taking preventive antibiotics is not necessary for most people and, in fact, might cause more harm than good. Unnecessary use of antibiotics could cause allergic reactions and dangerous antibiotic resistance. The new guidelines are aimed at patients who would have the greatest danger of a bad outcome if they develop a heart infection. a cardiac transplant that develops a heart valve problem. The most usual recommendation of the AMA includes antibiotic pre-medication with 2 grams of amoxicillin one hour before certain dental or surgical procedures, or other antibiotics for those allergic to amoxicillin. Because there are no similar guidelines for patients with prosthetic joint replacements or whose resistance is severely compromised, the decision is up to the individual physician. Because the conditions that now require premedication are highly technical in nature, there should be a clear indication for antibiotic pre-medication and it is the physician's responsibility to make the decision based on the degree of risk to a patient. It is the dentist's responsibility to communicate with the physician and make sure the patient is protected. That is why the relationship between the medical and dental professions is critical for your well-being.